Of course what’s really made the past 6 years so special is YOU! No matter how good the DJs you need a special crowd to create the best atmosphere and ours has been one of the very best. And what better way to thank you and celebrate our birthday at the same time than with a classic Puzzle blow out – we’ll be pulling out all the stops to mark our big 6 with an exhilarating tour through the soundscapes of underground dance music. Liquid Records wonderkid Beatnik will be tearing up the 414 floor at our birthday party and it’s hard to say how excited we are about that. 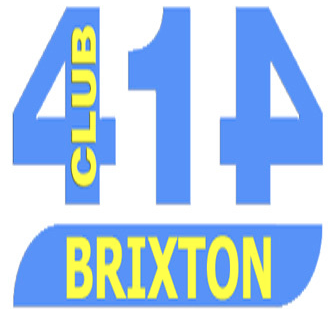 With releases on the likes of Ministry of Sound, Streamline and the mighty Liquid, and gigs in Brazil, Europe and across the UK, yet again Puzzle punches well above its weight in bringing big room DJs to the intimate surrounds of the 414! Expect a combination of many elements: from funky, cheeky electro edged grooves, via full-on darker sounds and structures, to filmic, epic soundscapes. All of course delivered with an energetic and fun loving performance that will get you moving like nothing else! London’s best team of residents will of course be giving it 110% to make our birthday go with a bang. Bringing the noise in the euphoria corner will be our very own trio of trance maestros, Matt Church, Ali Cantor and LK who will be showcasing the very best in driving, dirty and euphoric tech and trance. Sadly psy whiz kid Andi Leppard can’t make it this month, but the sounds of psychedelia will be more than ably represented by the incomparable Phil Lankester who as always will deliver a dose of twisted psy that will shock and delight! D-Viant has played all sorts of parties from London to Sydney and never fails to disappoint with his brand of bouncy, infectious feel-good party music. He’ll be warming the party up in style, get down early to get your fix of some fine house and electro! No birthday is complete without pressies, so on the night we’ll also be giving away a selection of exclusive mix CDs to celebrate our birthday. 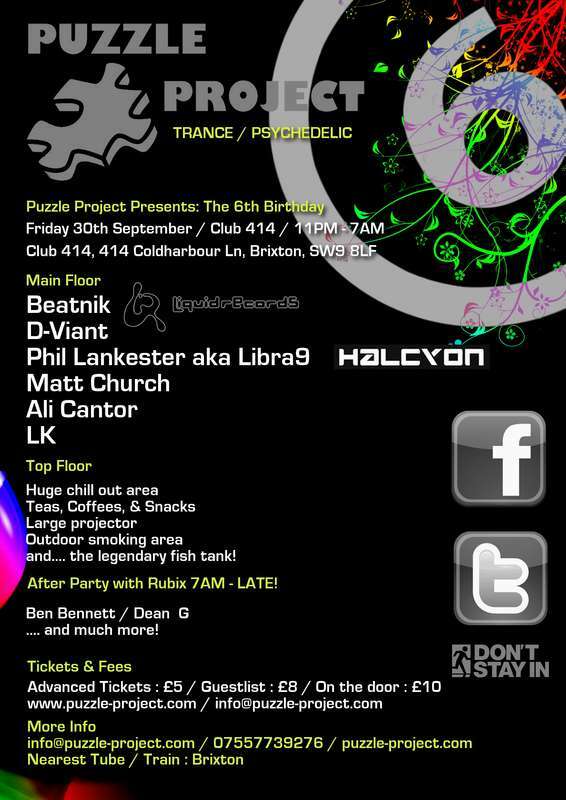 So there we have it – there’s no excuse for being the missing piece at London’s biggest small party’s 6th birthday bash! This month Rubix After Party will be following on from a very special night down at the 414! Puzzle Project are celebrating their 6th birthday and we have the privilege of carrying on the celebrations! We also have a very special guest joining us to keep everyone glued to the dance floor! The very talented hard trance DJ and Producer, and of course not to forget one of Puzzle Project’s original founders, Ben Bennett will be gracing the decks once more at the 414. Ben will be playing a very special b2b set with Rubix resident Dean G! So prepare yourselves for a morning full great music, good vibes and of course a whole lot of dancing!! 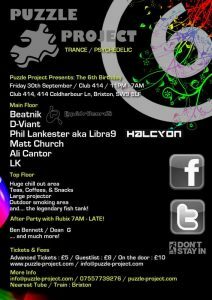 Entry to this party is FREE if you are already in the club for Puzzle Project. And it is only £5 after 7am.